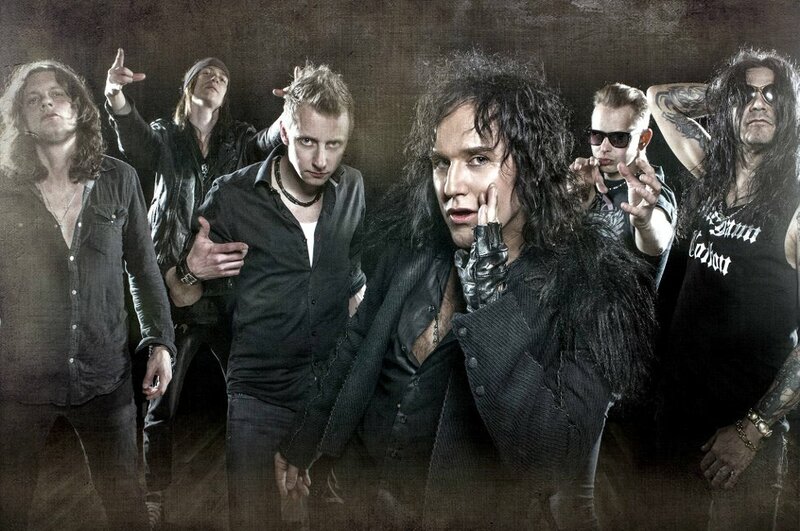 Ammunition is a new band founded by frontsinger Åge Sten Nilsen of Norwegian band Wigwam. Age Sten Nilsen has been penning new rock anthems with Erik Mårtensson (Eclipse/W.E.T) in Stockholm since October 2013. Erik brought in drummer Robban Bäck (Sabaton, Eclipse). Hal Patino (ex King Diamond) joined Ammunition on base. Lasse Finbråthen from Wigwam was brought in on keys and guitarplayer Jon Pettersen who had worked on Åge Sten Nilsen’s highly successfull Queen tribute. The new material wears the same catchiness as Wigwam’s songs, yet offers a rougher and more subtle sound and arrangements than his former bandʼ s productions. Produced by one of melodic rocks most esteemed producers Erik Mårtensso. AMMUNITON released their first album, SHANGHAID in January 2015 on AOR Heaven in Europe and Avalon in Japan. With a dream team of rock musicians in the line-up AMMUNITION has received excelent reviews. Åge Sten Nilsen is also frontsinger in the superband Nordic Beast with guys like John Norum (Europe), Mickey Dee (Motorhead) and Hal Patino (ex. King Diamond).